Bella: I have an itch. Bella: Down by the watchacoo. Me: Why in GOD’s NAME did you shave? Bella: I don’t like hair. Bella: So, how long does it last? The itching? Me: I don’t know! Why don’t you GOOGLE IT????? Bella: What do I type? 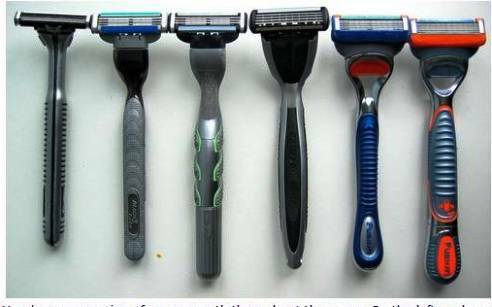 Me: You shaved. YOU DO IT. Me: Don’t shave anymore. Why did you do it? Bella: Everyone at school does it. Me: Everyone at school. You discuss watchacoos at SCHOOL? Bella: Well, Hermoine R. does it too. She doesn’t like hair either. Me: What in the WORLD is going on in your school? I will tell you WE NEVER discussed that issue when I was growing up. Me: I have to tell you, I don’t know what to tell you. Bella: So, how long does this itchiness last? Bella: I had to go to the nurse today. Bella: The itching was so bad. Someone ran out and bought me baby powder. Bella: So, how long is this going to last? Me: I DON’T know. It depends how fast your hair grows. Bella: Oh NO! It takes at least 3 months. Me; No, not that long. It’s not like cutting your BANGS! Bella: I think I can’t go to track on Thursday. Bella: The itching is driving me CRAZY. The rubbing will kill me. ME: Note to self: Remove all razors, waxers, etc from Bella’s bathroom. Pour large glass of wine. NO, make that a HUGE COSMO. Put plugs in ears. Go to sleep. Bella: I can be giving myself a fungal infection. Bella: I need to go to the doctor. Me: I am going to sleep now. Wake me up when you’re 20. Ms. Dean? This is the school nurse. Bella was in today again complaining about itching. I wanted you to know about it. Can you please call me when you get the chance? Thank you. PLEASE SHOOT ME NOW. or drug me. Or something. PLEASE. Jaysus! I remember when I shaved for the first time, and yes it itched a bit, but damned if I was going to tell anyone! Especially not my mother. And this was only 7 years ago. Oh no! is that what I have to look forward to? ?